Forget gin: solo travel is the tonic of the modern age, fuelling you in a way that no amount of booze could do justice to. Travelling alone builds resilience and self-belief, letting you be who you want to be. It’s a great way of meeting new people, too. Flash Pack delivers the best of both worlds, as you get to spread your wings solo, and flex your adventure spirit within –with the added moral support of a group of like-minded strangers. So, where to go? For the wandering nomad in search of horizons new, the world is positively brimming with cool destinations. And handily, the folks at Nat Geo Traveller have whittled down the playing field in their new Cool List 2019. The ancient Khmer kingdom of Angkor Wat has always lured visitors to Cambodia, and The Killing Fields Museum in Phnom Penh unveils a dark history that should never be forgotten. But according to Nat Geo Traveller, it’s the country’s “high-end hotel boom” which gives it added wow factor for 2019, putting the cherry on the cake in this fascinating land of jungle and temple ruins. Two highlights for Flash Pack include the newly refurbished Shinta Mani Shack in Siem Reap (above) and the sleek Patio Urban Hotel in Phnom Penh. Both offer charisma in spades, combining flawless design with a string of pleasing features. Don’t miss mango mojitos in Patio Urban’s rooftop infinity pool, with front-row views of the city (plus, a garden filled with frangipani trees for when you need downtime). Then over at the Shinta Mani Shack, you have swinging seats suspended over a lily pond, and a complimentary poolside ice-cream. Who could resist Hong Kong, with her mist-clad cityscape of peaks, towers and harbour? Nat Geo Traveller hails this evocative hub as “a cultural hotspot in 2019” with “big artistic ambition”. Must-sees here include Victoria Dockside on Kowloon, with sculptures, tai chi gardens and dreamy waterfront views. Then on Hong Kong Island, there’s Tai Kwun, a one-time police station that’s home to a new generation of galleries, bars and restaurants. Hong Kong’s cultural identity is also writ large in its amazing food. We at Flash Pack get right to the heart of the action, with an immersive street food safari through local neighbourhood hot spots. From puffy egg waffles to bo zai fan (clay pot rice), feast your way around Hong Kong’s cafés, markets and pop-up hawker stalls, with a Cantonese-speaking guide helping you to order local dishes. Then, walk it all off with a trek along the Dragon’s Back Trail by the South China Sea. Amid the violent turmoil of recent years, Zimbabwe was considered off-limits by many visitors. But now, it’s making a comeback. For a bucket-list hit, jump straight on over to Victoria Falls: Zimbabwe’s mighty ““smoke that thunders”, and the largest waterfall in the world. With Flash Pack, you’ll admire the churn and torrent of this incredible sight via helicopter ride, along with a wander around the wooden walkways that snake between the thundering falls. 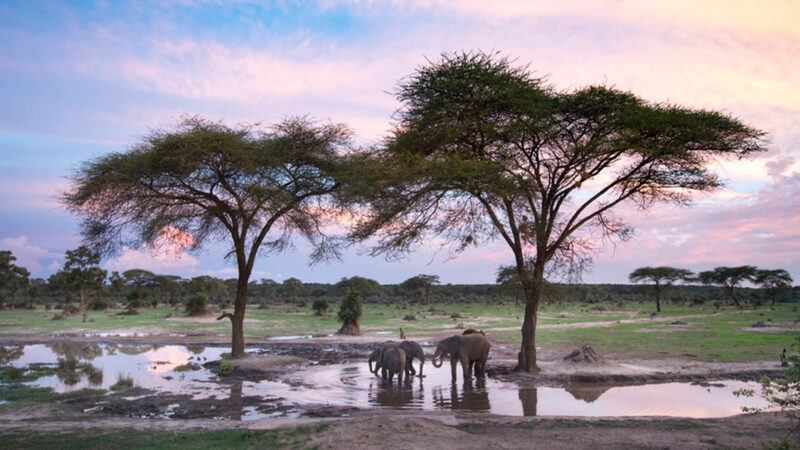 Then it’s over to Hwange National Park, regarded as one of the country’s finest wildlife spots, for game drives and a once-in-a-lifetime dawn bush walk. Just for good measure, we pop across the border to Botswana too, where more beautiful animals await. We don’t really need an excuse to visit this luscious pocket of the world, but Nat Geo Traveller has one all the same. 2019 marks the 150th anniversary of when Alfred Russel Wallace’s seminal book The Malay Archipelago was published. You can pay homage to Wallace’s journey by rediscovering Indonesia’s awesome wildlife for yourself. Start in Bali, where you can snorkel between the big-eyed trevally and lizardfish that cluster around a WWII shipwreck off the coastal town of Amed. Plus, in Ubud, a lush jungle town where we hang out, the monkeys are always keen to say hi. Then pop on over to the wildlife nirvana of Borneo, and camp out in the rainforest with orangutans, pygmy elephants and crocs all around. There’s also endangered sun bears to visit at a local sanctuary, just to complete the wonderment.